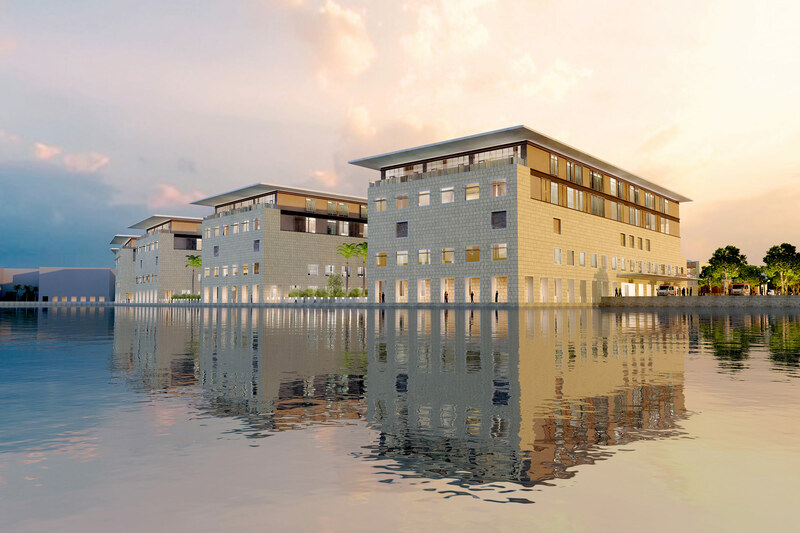 Architect Moshe Safdie, the 2015 recipient of the AIA’s Gold Medal, has begun work on his first project in South America, a hospital and master plan for a key part of a new seaside community outside Cartagena, Colombia. The community is called Serena del Mar, which means Serenity of the Ocean in Spanish. 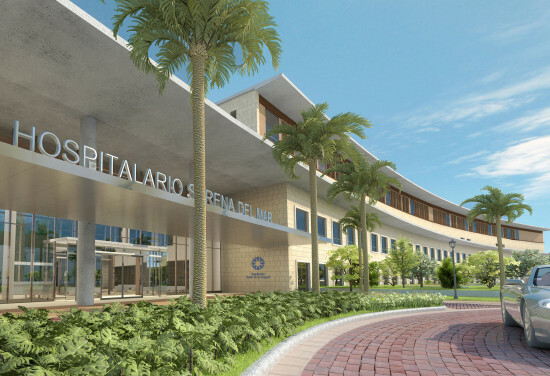 In addition to the hospital, called Centro Hospitalario Serena del Mar, the project will include oceanfront residences, a hotel resort village, a business and commercial district, a golf resort, and an “equestrian village.” Twelve kilometers from the Old City historic district of Cartagena, the planned community is expected to absorb much of the area’s expansion and help the region compete for national and international tourists. Serena del Mar will be organized around a major canal, similar in scale to the Grand Canal in Venice. The centerpiece is a 400-bed hospital, the first designed by Safdie. The main boulevard is modeled after Commonwealth Avenue in Boston, although cars mostly will be banned to the perimeter of the property. 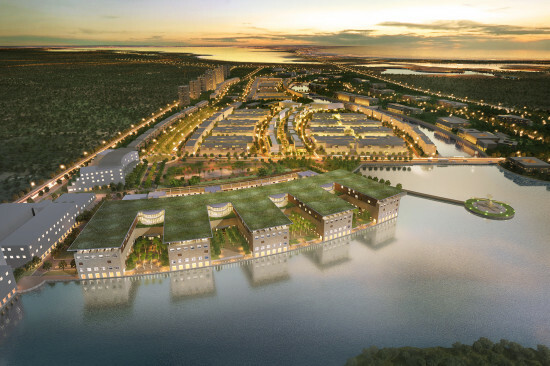 The developer is Novus Civitas, headed by one of the wealthiest families in South America. 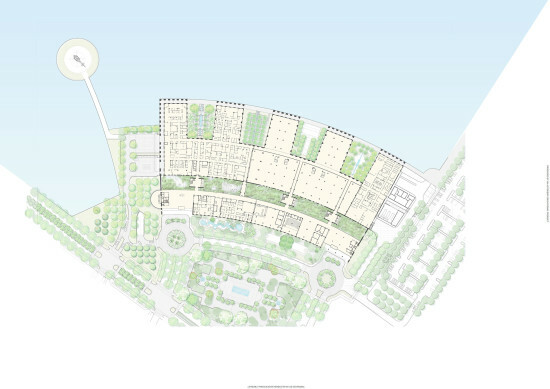 Safdie’s firm, Safdie Architects, is the architect for the hospital and master planner for the ‘Gran Canal’ civic and institutional district within the larger community, according to principal in charge Sean Scensor. 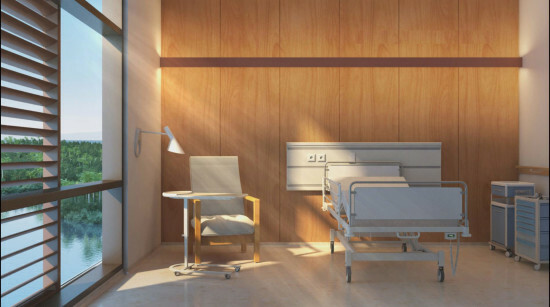 EDSA of Florida is the master planner for the rest of Serena del Mar and landscape architect for the hospital and surrounding area, Scensor said. Robert Trent Jones II is the golf course designer. Other architects that have worked on the hospital include Tsoi/Kobus & Associates of Cambridge, Mass., and a local firm in Colombia, Condiseño Arquitectos. 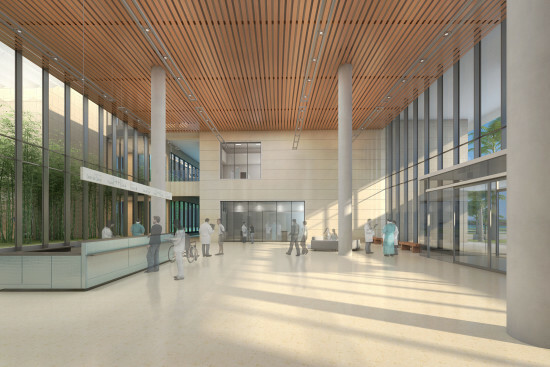 Design and planning experts from Johns Hopkins Medicine International in Baltimore consulted with the development team on the design of the hospital, which will be operated by the Fundación Santa Fe de Bogotá. Construction began last year on the hospital’s first phase. 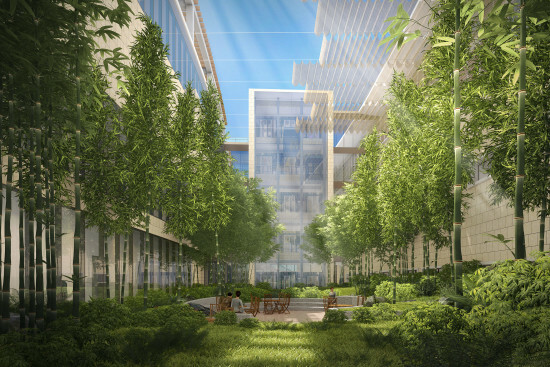 When complete, the building will have a series of fingers extending toward a lagoon, with outdoor “healing gardens’ in between. The rest of Serena del Mar will follow in phases, and the canal is the “big move” that organizes it, Scensor said.